Is a married person looking at an unmarried Person ? There are 2 cases for Sarah - Married or Unmarried. If Sarah is Unmarried, then John (married) is looking at Sarah. 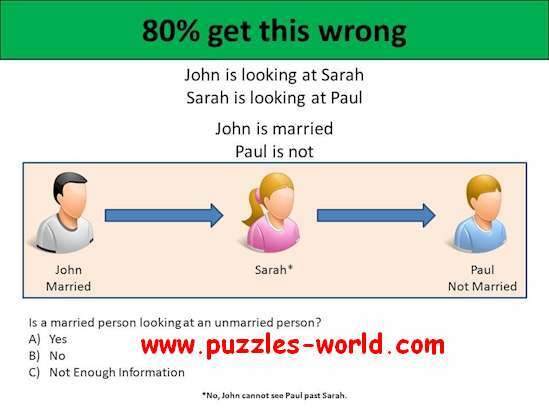 So in both the cases, a Married person is looking at an Unmarried Person.